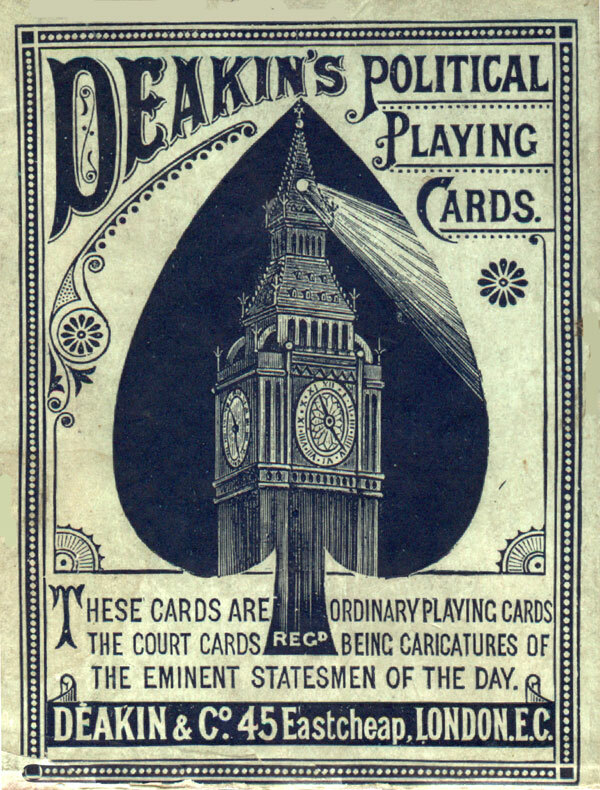 Deakin’s Political Playing Cards 3rd edition published by the wholesale stationers Deakin & Company, 45 Eastcheap, London E.C. and manufactured by W.H. 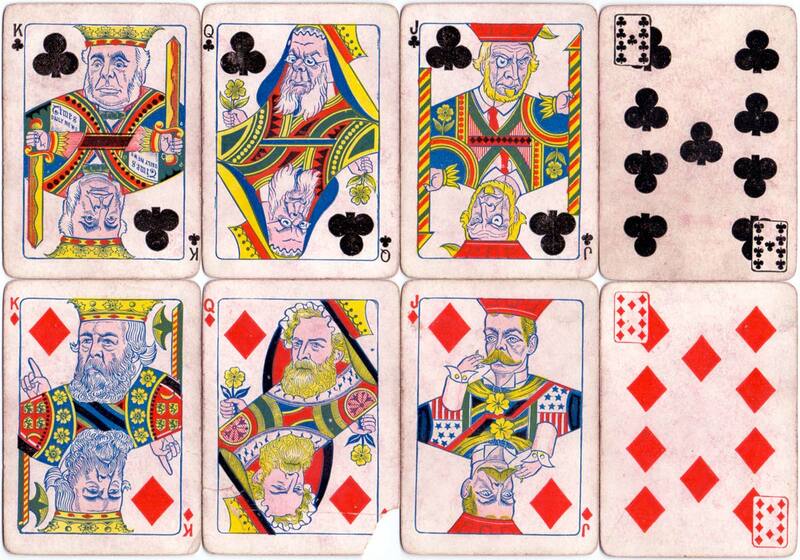 Willis & Co, c.1888. 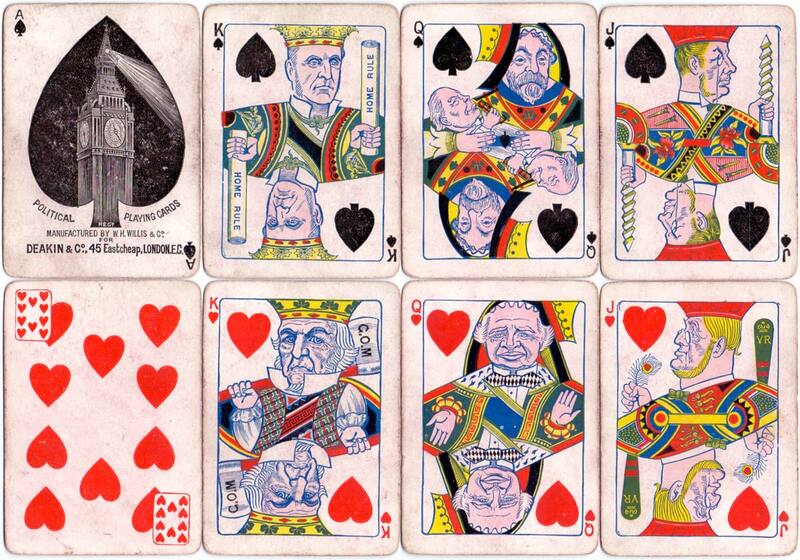 The court cards are double-ended portraits of prominent statesmen of the day, satirising political issues, and the ace of spades and box have a design reminiscent of Big Ben with the title and maker’s name. The pip cards have miniature ‘triplicate’ indices in two opposing corners.